On 22nd December 2014 it was reported by leading SEO journal Search Engine Land that the Google Pigeon algorithm update, which was rolled out in the USA on July 24th, had also been rolled out in the UK, Australia and Canada. Google Pigeon is the search engine’s local ranking algorithm, and therefore had a huge effect on local businesses across the country. The Pigeon Update has seen some major changes in local ranking factors, including the confirmation that organic and local factors are working together more than ever. Now, we have entered 2015, and whether you are evaluating and amending your local SEO strategy from 2014 or embarking on a completely new one, you need to follow these guidelines to stay ahead of your local competitors in the coming year. Take a look at the useful list of The 2014 Local Search Ranking Factors compiled by leading SEO company Moz. This is an excellent place to start if you are reassessing your old local SEO strategy or building a new one from scratch. Take a look at the factors and think how they compare to your current efforts. You may find that you want to place more focus on areas that you had previously not paid much attention to. For some local websites, the goal is simply more traffic, for some it is the number of conversions that they can closely monitor. It is more important than ever to have closely defined goals as with the growing intelligence of analytics we can really hone in on consumer behaviour on websites. The need to clearly define goals so you can drive consumers to do what you want will be more prominent than ever in 2015. We have now realised that traffic doesn’t always equal goals, so you need to make sure you are tracking conversions properly. User behaviour affects local rankings. It’s been proven that user behaviour can have an impact on search results, which therefore shows us that in 2015 we should be optimising for humans and not just for search engines. Results with the most reviews get the most clicks – focus on getting as many reviews as possible on your Google My Business Page. Make sure reviews are genuine. You could ask your clients to review your business through your email marketing as well as face to face. Optimise your photos. Large, high quality, clean original images are more likely to get higher click through rates as well as generate interest and give your profile a professional feel. Watch out for the new Google My Business Page Guidelines to make sure your profile does not get penalised and can reach its full potential. Watch your basic organic SEO factors. Optimise organic SEO: title tags, meta descriptions, schema markup, H1 headings etc with localised keywords. It’s important to earn your site a few high quality and relevant links. Do not spend lots of time mass link building as this will be counter-productive. Focus on and target specific sites such as local newspapers, charities and online magazines in your niche to achieve the best results. Read our handy 5 SEO Link Building Techniques for Beginners to help you start building some high quality links. 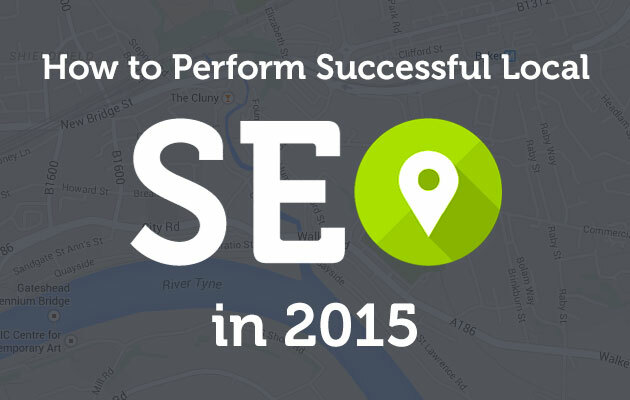 Doing your research in the world of local SEO will pay off. Finding out what is changing due to the Google algorithms can help you tailor your strategies and stay ahead in the game. For example, take a look at this article called Pigeon Advice from Top Local SEOs and a Pigeon-Proofing Checklist which provides useful knowledge on how the ranking factors have changed and what you can do to succeed in the search engines. If you need some help with your local SEO strategy, why not give us a call today?